there's little doubting that the cult hit of this gaming year unfolds courtesy of the fearless, nether-world wanderings of a small boy with glowing eyes. 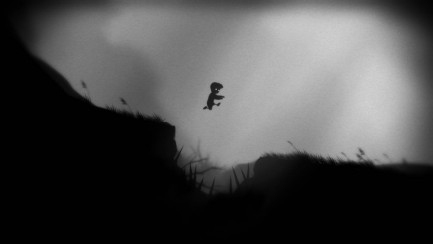 at the start of Limbo, he wakes, sits up, stands, and in your own time you encourage him to walk with your thumb. there are no introductory sequences, no loading-screen tips, no explanations. you do not know who he is, where he is from, or where he is now. all you know is that rightward is onward and here is not home. 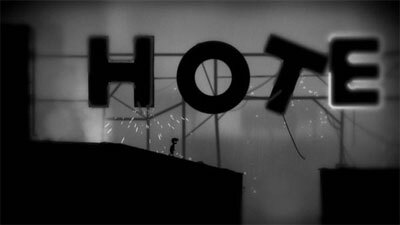 with the slow-burning intensity, chiaroscuro heavy, monochrome visuals and eerie, understatedly sparse soundscape of a strange, neo-noir thriller, Limbo's art design creates a more filmic and immersive world than many a high-budget, cut-scene clogged 'epic'. it is understated to a tee, and brilliant. as you begin to explore, you encounter many manner of dangerous things that swiftly and mercilessly slaughter your new, young friend -- traps that scythe his head clean off, spikes that impale his small body, spidery creatures that skewer him on huge, lance-like legs, not to mention electrified surfaces, falling objects, deadly liquids and bone-snapping drops. be it misty, menacing forest or abandoned factory, the post-apocalyptic-esque landscape is unerringly dead and unswervingly deadly. and yet, a light shines in the darkness which the gloom cannot quite choke. 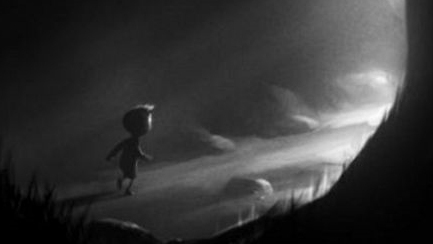 without ever indulging information, Limbo builds emotional collateral into the process of unpicking the swathe of increasingly complex puzzles that stand between the bright-eyed boy and whatever awaits him. despite the fact that the solutions to the problems with which he is forever confronted readily form an instructive grammar, the method of advancement is very much trial and error. deaths are frequent. mostly (thankfully) our child is reborn within a few paces of where he last ended, and we can try a different tack. it only rarely fails to strike a satisfying balance between chaos and calm. 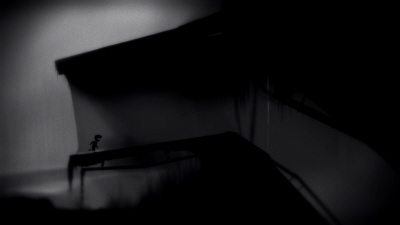 Limbo is an ode to non-narrative story-telling. 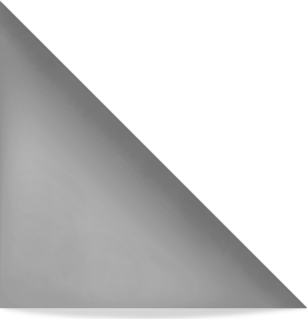 it's all about the details -- a shifting shadow, a faint cry, a glimpse of a faint, far-off figure. the contrast between the focussed and patient attention required to precisely dissect each obstacle and the desire to interpret the ever-present, but unelaborated sense of disquiet accords Limbo its rhythm, and it only rarely fails to strike a satisfying balance between chaos and calm -- with some sections dragging just a touch. as an apparently regular boy, the powers afforded our brave adventurer 'fall within expected parameters' (as a computer supposedly from the future might have electronically barked in a low-budget 1970s Sci-Fi film). he can walk and sort of run, jump, push and pull objects, climb and swing, and that's about it. although, to be fair, that's probably more than i could do in the circumstances, given that i haven't climbed a rope in years and don't intend to anytime soon. despite these realistic limitations, the puzzle design is such that the speed, deft and art of your thumbs will be sufficiently tested. several traps and perilous situations demand super-precise timing (occasionally in more than one phase) in order to be successfully negotiated. 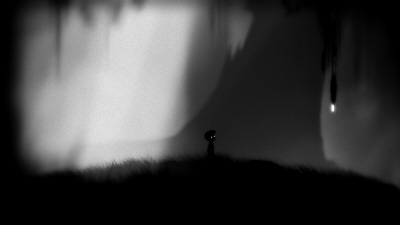 all the little touches in Limbo are just right. it's not so much the increasing complexity of our young hero's tasks that entertain, however, but more the profound levels of imagination -- both in terms of design, and also with regard to the demands on the player. as mentioned earlier, patterns emerge, and with them clues as to the best ways to approach the various obstacles, and blas� trial and error will mostly get you through, however if, like me, you feel compelled to shield the little guy from brutality as much as possible, then you will find yourself and your visual imagination well stretched. 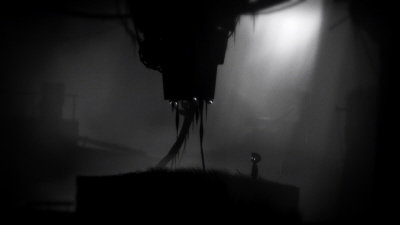 all the little touches in Limbo are just right. the first time a small glowing grub falls on the pintsize explorer in the woods and seems to bore into his brain, we are supposed to assume that yet again something awful has befallen him. as it is, we soon get used to the idea that these little guys just want to temporarily force him to walk in only one direction until they find light at which point the direction reverses, functioning as a puzzling parameter. various elements of the moistly malignant surroundings, like vicious looking beak-beings, will eventually help out by eating, or knocking or otherwise removing the grub from his noggin. the soundscape is profoundly understated, yet lush and expansive. music emerges only at certain points, and even then only in short phrases or long notes. however, together with the sharp crackles, crisp snaps, jagged buzzes and repulsive squelches, the sound gives echoing depth and grand scale to the strange, disturbing world through which we lead and somehow also follow our boy. 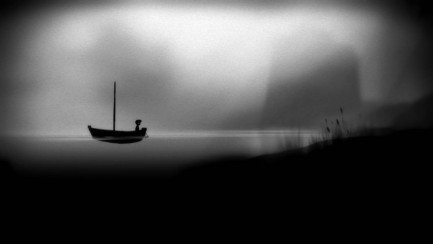 it takes real skill to use sound so subtly and yet so effectively, and that same quality runs deep throughout this quirky little game. 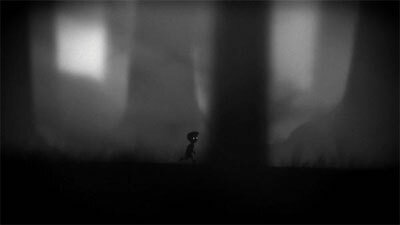 Limbo is quite unlike anything I've played before. given that the (meta)narrative is so unelaborated, it really wouldn't be right to talk about the ending, other than to say it's well worth all the effort. 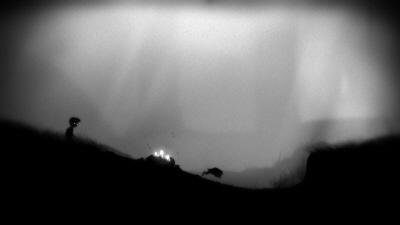 just like the game, it's understated, yet deeply engaging and gleefully ambiguous. 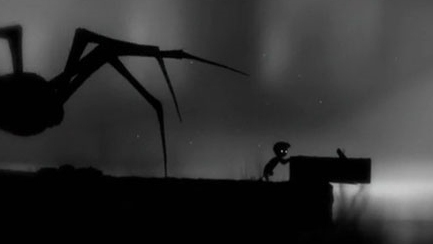 Limbo is quite unlike anything I've played before, and yet, as a player, it feeds you from the start with just enough if a sense of familiarity to prevent the menace from overcoming your fragile investment. as the investment grows, so the level of familiarity peaks and troughs, assisting you in places, working against you in others. 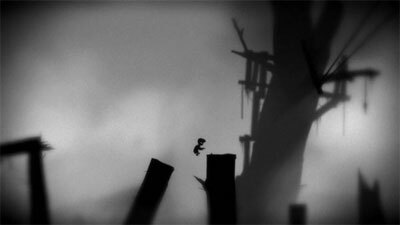 in that sense Limbo has a postmodern sensibility, but not in a way that strips away or dilutes its obviously existential air. it knows gaming, but it also plays out on some other plane. 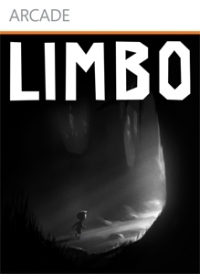 basically if you have a 360 and a few free hours, I couldn't recommend Limbo more highly to you. for me it was a fidgety, yet enthralling experience which frustrated, unnerved, delighted and kept me entranced. 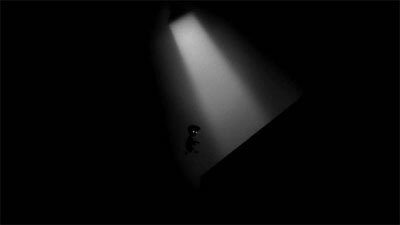 walk toward the light. walk toward the light. reallyquitetired writes the Tired Gamer column. "hello. I'm reallyquitetired -- recently described by Depressive Monthly magazine, in a probing centre-page feature, as 'Academic, DJ, blogger (with a penchant for odd humour, non-standard uses of language, frank reviews, utilizing fallacious quotations and recommending music to wash to) and Major Depressive Disorder sufferer extraordinaire.'"